Our Guard-Check gives you a quick and easy method to accurately check the guard opening size, based on the distance from the hazard zone for hands as referenced by EN ISO 13857. The most common way to reduce or avoid risks caused by machinery in a working environment, is to implement protective barriers or zones of reach. By putting these safety measures in place, workers will be out of reach of hazard zones, safeguarding their arms and legs. BS EN ISO 13857 focuses on equipment safety and occupational safety by specifying safety distances to protect the upper and lower limbs of workers. These best practice recommendations include body dimensions, length, machine guards and barriers or holes. To specify these safety distances, BS EN ISO 13857 takes several elements into consideration. The standard looks at various reaching situations when the machinery is used. It also shares reliable surveys of anthropometric data based on the population groups most likely to be found in the relevant countries. Other topics include biomechanical factors, such as compression and joint rotation limits; technical and practical aspects; and additional measures for persons who might deviate from the specified body dimensions. Our new Guard-Check can be used to check the openings in barrier guards for compliance. 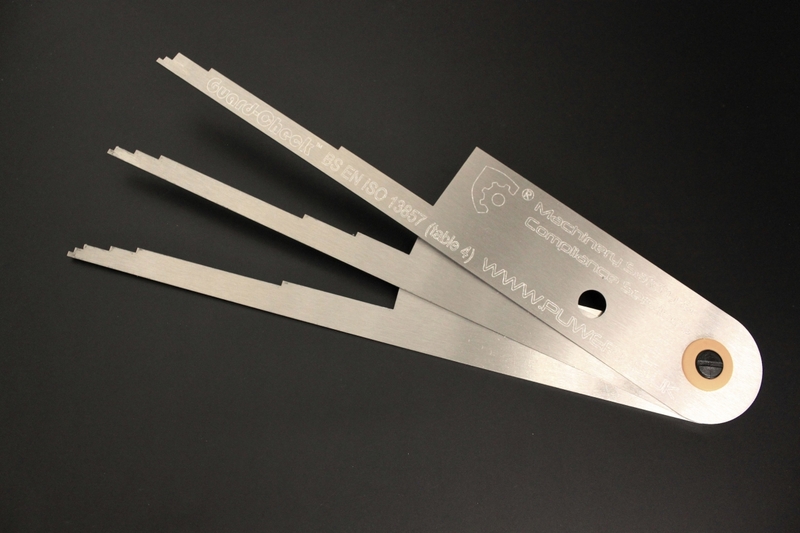 The precision made stainless steel tool has three leaves to check guards with round, square or slot apertures. It can be used during the design, installation, and inspection of barrier guards to make sure they comply with BS EN ISO 13857, table 4. Table 4 of EN ISO 13857 is used for reference when determining maximum guard openings and minimum distances of guards so that body parts such as hands and fingers cannot reach the hazard area. These openings must be checked for safety compliance. Guard-Check is specifically designed to make it extremely simple to check for hand access. Table 3 of BS EN ISO 13857 indicates a hand length being 230mm so this invaluable tool models those dimensions. Getting your own Guard-Check couldn't be easier. We understand that the majority of buyers will be from the industrial sector so we have options for you. 1. Purchase order. Just send an email with your request for a formal quote and payment terms to [email protected]. 2. Click the "Buy Now" button at the right of this page and be taken to our secure card payment checkout. As always, don't forget to give us all your contact details so we can make sure you get your Guard-Check!